Welcome to Yeovil Motor Factors Ltd. Established in 1987 as a family run independent factor, Yeovil Motor Factors remains today dedicated to serving the needs of the independent aftermarket. We are the leading distributor in South Somerset, North and West Dorset of automotive components and accessories for passenger car, light commercial vehicle, heavy goods vehicles, agricultural and plant applications. 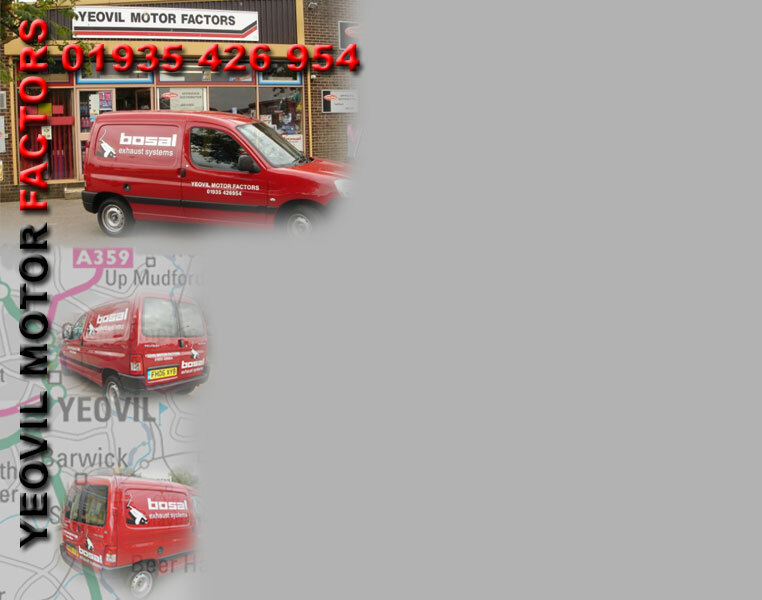 Centred on Yeovil we deliver in a twenty five mile radius using our fleet of 15 delivery vehicles to trade addresses in the area. We maintain comprehensive stocks of components in leading original equipment brands and quality alternative suppliers, we can also obtain non stock lines on a next working day basis subject to availability. Our product ranges are extensive, from alternators to zip-ties. We keep parts for all brands of vehicles, from Alfa Romeo to Zastava (not many of them left today!). Our depth of stock is legendary, we don’t only keep the fast moving items, try us for the difficult items, not just the ordinary! See our list of suppliers and judge for yourself by the quality of the company we keep. We are members of various trade organisations including Automotive Distribution Federation and the largest trading group in Europe, Group Auto Union (formerly FSG). Hours of opening are 8.30am to 5.30pm Monday to Friday and 8.30am to 12.30pm Saturday.